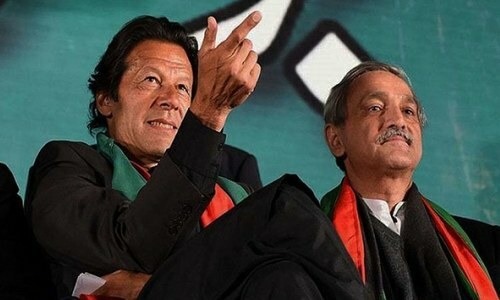 The Supreme Court on Friday handed down its much-awaited judgement in the Imran Khan, Jahangir Tareen disqualification case, rejecting Hanif Abbasi's petition for Khan's disqualification but disqualifying Jahangir Tareen for being "dishonest". The verdict was announced in Courtroom No. 1 by a three-judge bench comprising Chief Justice Nisar, Justice Umar Ata Bandial and Justice Faisal Arab. 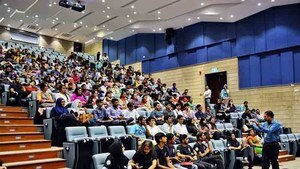 The chief justice, reading out the judgement in the packed courtroom, said the court had found that Khan was not liable to declare offshore company Niazi Services Ltd in his 2013 nomination papers as he was not a shareholder or director of the company. The court's detailed judgement noted that the money trail provided by Imran Khan sufficiently covered the Bani Gala property's purchase price, the funds provided by Jemima Goldsmith, Khan's ex-wife, and the proceeds from the sale of Khan's apartment in London. The court held that the Bani Gala property was Khan's property; he had bought the land for his family, but was gifted the property by his ex-wife, Jemima Khan, after their separation, the chief justice remarked while reading the judgement. 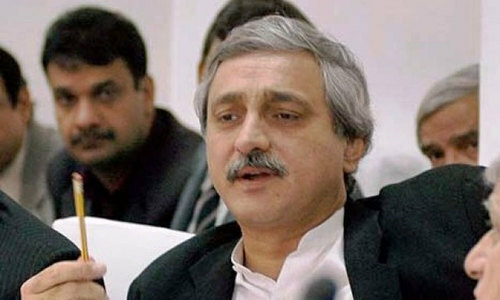 The bench found PTI secretary general Jahangir Tareen to be dishonest under Article 62(1)(f) of the Constitution and Section 99 of Representation of People Act (ROPA) on one count among the multiple charges brought against him. Article 62(1)(f) — which sets the precondition for the head of government to be "sadiq and ameen" (truthful and honest) — had led to the disqualification of Nawaz Sharif from holding public office in the July 28 judgement on the Panama Papers case. "The respondent [Tareen] is disqualified in terms of Article 62(1)(f) of the Constitution read with Section 99(1)(f) of ROPA for the non-declaration of his property/asset i.e. 'Hyde House' in his nomination papers, and in making untrue statement before this Court, that he has no beneficial interest in SVL [offshore company]; therefore, he should cease to hold the office as the member of the National Assembly with immediate effect," read the judgement. The judgement noted that Tareen may have committed the offence of insider trading, but could not be judged for having committed a crime because of the terms of his settlement with the Securities and Exchange Corporation of Pakistan (SECP). The court also stated that the matter had been closed by the SECP after Tareen paid a fine, and so could not be used as a grounds to disqualify him. On the matter of alleged misrepresentation and short payment of agricultural income tax by Tareen, the court said it would not issue a declaration on it because the matter was currently sub judice in multiple courts. The court also said it was not convinced that Tareen had been involved in acquiring loans and having them written off for his benefit, which would have demonstrated dishonesty. It noted that the loans acquired by FPML allegedly written off by Tareen were actually written off in 2010, before Tareen was even a shareholder or director of the company. Therefore, he could not be held responsible for it. Read: What is insider trading? The SC directed that the foreign funding case against PTI as a party be investigated by the Election Commission of Pakistan (ECP), as Abbasi had no locus standi to pursue it. "It is the responsibility of the ECP to look at the foreign funding case in detail," Justice Nisar said. The court ruled that the ECP should, for the sake of impartiality, look into the foreign funds of the party over the preceding five-year period only. The CJ said that the delay in the verdict, which was announced more than an hour late in Courtroom No.1, was due to a mistake on one page. "We had to go through the entire 250-page document," he explained, apologizing for the delay. He asked that the verdict be heard with patience. Petitioner Abbasi as well as other members of PML-N — including Talal Chaudhry and Maryam Aurungzeb — were present in the court. Prominent politicians and legal representatives arrive at the Supreme Court. Neither Imran Khan — currently in Karachi — nor Tareen were in attendance. Strict security arrangements were made for today's verdict. At least 900 security officers were stationed outside the court, with 300 more deployed inside. Courtroom No. 1 was last in the limelight when a five-judge SC bench comprising Justices Asif Saeed Khosa, Gulzar Ahmed, Ejaz Afzal Khan, Sheikh Azmat Saeed and Ijaz-ul-Ahsan disqualified Nawaz Sharif as prime minister in the Panama Papers case. 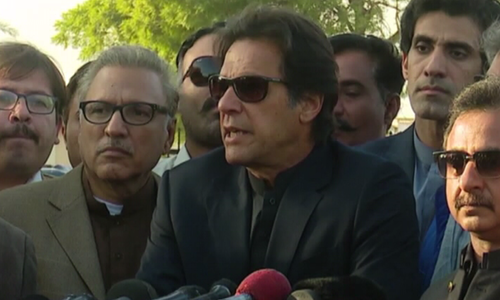 The petition, filed by Abbasi in November 2016, accuses the two PTI leaders of not declaring their assets to the Election Commission of Pakistan (ECP) and seeks their disqualification based on alleged violations of the lncome Tax Ordinance 1979 and Representation of Peoples Act 1974. On May 3, amidst a heightened political backdrop, a three-member bench of the apex court had begun hearing the petition. 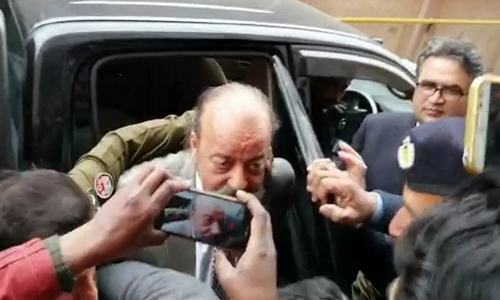 During the length of the case, the lawyers from both sides had presented their arguments for over 100 hours and referred to 73 different cases as precedent, DawnNews reported. After more than 50 court hearings, the verdict was reserved on November 14. Abbasi's petition had sought the PTI leaders’ disqualification under charges of false declaration before the ECP, non-disclosure of assets in offshore companies, and for being a foreign-funded party. The petiton had aruged that by failing to disclose the existence of "Niazi Services Limited" — an off-shore company allegedly owned by the PTI chairman — to the ECP, Khan stands in violation of the Income Tax Ordinance of 1979. Additionally, Abbasi had claimed that the 'off-shore company' has consistently been submitting its financial documents to the relevant authorities in the Channel Islands, where the company is said to be based. Abbasi had maintained that Imran Khan failed to formally declare his 'off-shore company' to authorities in Pakistan and opines that Khan's intention to establish the off-shore company, which was dissolved in October 2015, was rooted in tax evasion. Furthermore, Abbasi had argued that Imran Khan failed to disclose to the ECP his Rs2.97 million purchase of a luxury apartment in the capital city of Islamabad. That, he had argued, is a violation of the Peoples Act of 1974 and can result in the dismissal of PTI Chairman Imran Khan. Throughout the proceedings of the case, Khan's lawyer Advocate Naeem Bukhari was questioned by the apex bench on various matters, specifically the money trail for PTI chief's flat in London and his Banigala property. In one of the hearings, Advocate Bukhari was questioned over Khan's failure to declare the London flat as an asset. He had told the court that the flat was not declared as it was located outside of Pakistan. Over several hearings, the court had sought clarity from Khan's lawyer with regards to the PTI chief's Banigala residence, questioning where the money for it had come from and if Khan had accepted a loan or a gift from his former wife, Jemima Khan, to purchase the property. 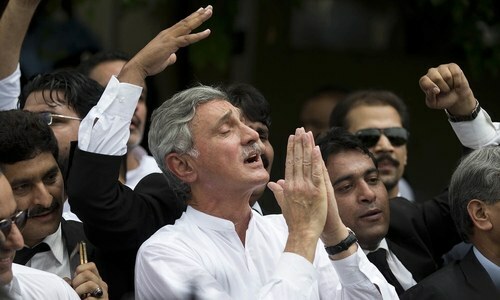 The court had raised questions pertaining to Tareen's 18,500 acres of land, which his lawyer had argued was leased and not owned. The lawyer had attempted to explain why his client had not declared the land is his election forms and had made the distinction between land owned by his client and that which was leased as the basis for his defence. Several hearings had also focused on Tareen's offshore company, Shiny View Limited, established under British Virgin Islands laws in 2011. The company owned a residential property in Berkshire, UK, for the use of his four children, who were beneficial owners of the property, Tareen's lawyer had told the court. Imran Khan, my beloved leader! No matter what! I hope and pray that they are both acquitted, because they did not do the same kind of crime as Nawaz did. He didn't take the money out; he brought it in! That's the difference. Qualified or not. Imran Khan has changed Pakistan for the better and will be a hero either way. I think Pakistan is going to get clean by these people. Imran Khan has already brought a big change in Pakistan. If he is disqualified, his party will get sympathy vote and the disqualification will ensure PTI's success in elections. IK the true leader fighting against corruption and injustice. People of Pakistan stands with you IK always and pray for your success. 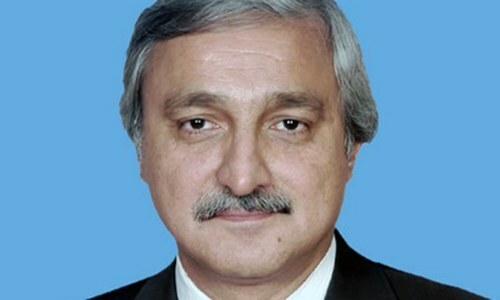 Highest tax-paying MNA JKT will be disqualified to set an example for others! People have always been jealous of the Great Khan. 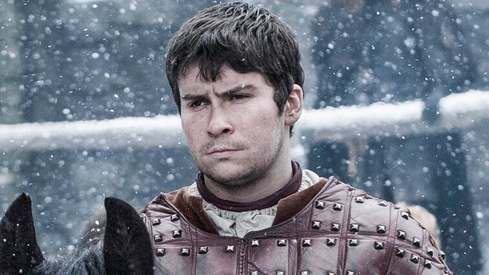 First his Oxford degree, then his sports career, and then his marriage to Jemima. It is quite simply one man against the whole corrupt system of that country. Brave soul indeed. But the guy is a boss anyway. Money his ex wife gave him is nobodies business. This decision shows Imran Khan's integrity, however it also highlights how he has surrounded himself with the same people he despises. The PTI top brass need some reshuffling. People in PTI are also corrupt which has been proven today. Truth and justice prevails in the end. IK stance on corruption vindicated...the man will be remembered in the history for fighting against corruption and may have changed the minds of some thick-skinned supporters of corruption who love corrupt rulers! Happy with the decision of the supreme court and acquitted of PTI ledger with honor. 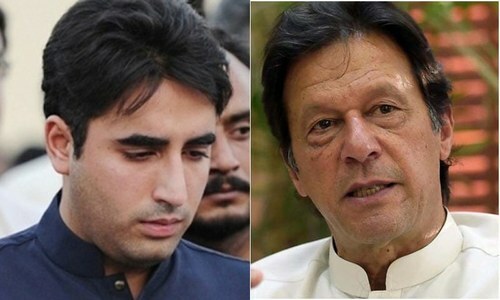 SC has given a very danergous political decision in this case, and it will not help Pakistan people, because there are so many black sheep which have used and will use the same technique to mislead the country and send and back money in Pakistan. IK s' only source of earning was , he played cricket professionally . He doesn't and didn't own sugar mills and other industrial enterprises. Therefore SC verdict is in his favour though utter dispointment for Nawaz Sharif and his cronies. 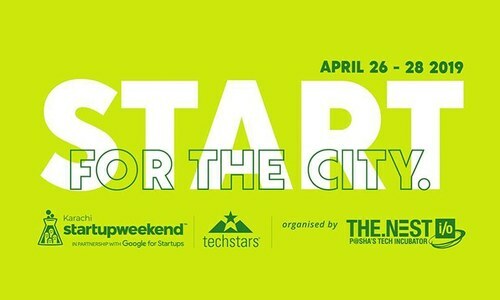 @TKHAN , you said it all. Good comment. If we disqualify all the politicians, than the only one's qualified to govern are the educated, decent, apoltical professionals, technocrats, academics and businessmen. Maybe this is what Paksitan really needs? The social experiment of Democracy has failed in the country. Time for some radical system to ensure checks and balance and accountability along the way - like the US Congressional Committees that hold the feet to the fire of anyone in the government. This is a give and take verdict that proves the side of tilt. For me, the most obvious case in need of clearance is the divorce settlement money paid by Imran Khan to his two former wives or, the amounts payable by him that should be in his account statements. Justice prevailed. Salute to supreme court. IK is the only hope for Pakistan. We, youth of Pakistan firmly believe in his honesty. He is the only loyal leader remain in Pakistan. I'm tired from PML-N, PPP, Jamat e Islami, and Marshall Law, We as a civilian needs a Leader, who really think about us, our basic needs. The decision is neither a balancing act nor a scripted stance. The Court echoed what was tabled during the proceeds, assessed the veracity of documentation turned in, vetted good intentions of both the petitioner and the defendant, and decreed by what came to light. Sanity should prevail as standards of justice must not be targetted out of personal petty vendettas. I expect IK to win big in the next elections. Even if Jahangir Tareen has been disqualified from holding official portfolio, it does not preclude him from acting as an unofficial advisor and aid to IK when the latter becomes the PM. Lot goes on behind the scenes and unofficially than meets the eye. Like Trump's son-in-law acting as Middle East negotiator or advisor on ME affairs - without holding a cabinet post, official title or office. This is not the end of the road by any stretch of the imagination. Man with the means can still accomplish a lot - legal or otherwise. Sc taking good decision.everyone should respect the institutions decisions. The Highest Tax Paying man in the country Mr.Jahangir Tareen is disqualified. We see hope in imran khan . He is sincere honest and patriot leader of Pakistan . Justice has been done in Imran Khan and Jahangir Tareen's case, now we await verdict on Nawaz Sharif's family corruption case. No politician or his family can be above the law. A country with a population of 220 million, and only 1 (ONE) million registered tax payers. Jahangir Tareen who pays BILLIONS of Rupee in taxes every year, disqualified by the court that he did not declared his off shore property. I strongly believe this was an honest mistake. Did he steel any money from the people of Pakistan. The answer is no. Court has to look at the intentions of the person. I strongly believe this is not justice but a calculated decision by the court. I now really think there's still a hope for a better Pakistan. I'm not a IK supporter but I do believe he's not a corrupt man as he has dedicated his entire life, in game as well as politics, for a better image of our country. Regardless of what PML and their stooges say, they cannot change the fact that IK was never an office holder and had no involvement in taxpayer money whereas the Sharifs and Zardari have been in office multiple times and indeed looted the country. Thank you SC. AlhamdullilAh.. Victory for Imran Khan.. Our next PM InshAllah. @Shafiq Shah you're absolutely right. Thanks to Panama Gate othervise diqualification of corrupted people would not have taken place.This is not the end of the operation against the corrupted mafia. Many more are under the radar of justice system. IK will be next PM, InshAllah. Sad that JahangirTareen disqualified. PTI needs to replace Sec Gen with a clean, enlightened and passionate leader, read: Dr Alvi and Ali Mohd Khan- of course with intra-party election. I love Imran no matter what! he is not corrupt and that is more than enough for any Pakistani! I love our courts for sparing no one when done wrong! great job Our courts great Job Imran bahi! When Imran Khan contradict his own statement several times, I wonder how anyone can certify him honest, let alone Supreme court of Pakistan so called judges. When he illicit texted to a female subordinate and than harassed her, what level of morality Imran has, I will certainly question the wisdom, morality and neutrality of Judges. As much as I support Imran Khan, he keeps confirming to me that he doesn't really want to become PM. He keeps shooting himself in the foot, this time by defending Jehangir Tareen and not asking him to step aside. PTI claims to hold the higher moral ground. They need to walk the talk when one of their own is disqualified by the SC. Don't want for the review petition. Act now. This is excellent news! It means that no politician can participate in elections for any small corruption. That means that almost 90% of politicians can kiss their career good bye. @sid That's a very BIG "IF"
The decision of judiciary should be strictly implement.All stake holders should accept and respect the SC decision.It would be beneficial for the whole state of Islamic Republic of Pakistan. @Farjad Zaidi well at least i know who pmln is based on ur comment, but that's about it. The SC formed JIT to investigate the purchase of NS property and his businesses. Why they did not call the JIT to check the foreign funding of PTI which is utmost important to the people of Pakistan. This indicates the judges did not follow the Panama case precedent in relation to IK.